Hockey fans, we coming down the stretch. It's hard to believe, but there are just five regular season series left for the UND men's hockey team and this weekend is huge one in the chase for the Penrose Cup as National Collegiate Hockey Conference champions. The Green and White sit just three points behind first place St. Cloud State coming into this weekend. With the Huskies playing in the North Star College Cup, a four-point series against Western Michigan would put UND all alone a top the conference. Just like last weekend against Colorado College, the Green and White will be without some vitally important scorers against the Broncos. UND has ruled out Drake Caggiula, Nick Schmaltz and Chris Wilkie for this series and again, it will be up to the depth of North Dakota to be successful. Here's what DDC is watching for from Lawson Arena in Kalamazoo, Michigan in this week's "Who? What? How?" series preview. Fr. F, Griffen Molino, 7 goals, 11 assists -- 18 points; Jr. F, Sheldon Dries, 10g, 4a -- 14 pts; Fr. F, Colt Conrad, 5g, 8a -- 13 pts; Sr. F, Nolan LaPorte, 5g, 6a -- 11 pts. Likely to return this weekend after missing the last three games due to injury; Sr. G., Lukas Hafner, 5-9-3, 3.49 goals against average, .901 save percentage. Sr. F, Drake Caggiula, 15 (T-10th in NCAA), 15a -- 30 pts (T-11th in NCAA) Out this weekend due to injury; So. F, Nick Schmaltz, 3g, 24a (3rd in NCAA) -- 27 pts. Out this weekend due to injury; Fr. F, Brock Boeser, 15g (2nd in NCAA in rookie goals, T-10 overall in NCAA), 12a -- 27 pts (4th in NCAA in rookie scoring); Jr. D, Troy Stecher, 5g, 14a -- 19 pts; Sr. F, Bryn Chyzyk, 9g, 7a -- 16 pts; So. G, Cam Johnson, 11-1-1 (1st in NCAA in win percentage), 1.42 GAA (1st in NCAA), .942 SV PCT (T-2 in NCAA). UND goalie Cam Johnson continues to be near the atop or near the top in the country in all three major statistical categories, .885 win percentage (T-1st), 1.42 goals against average (1st) and .942 save percentage (T-2). UND is allowing just 1.77 goals per game which is third in the NCAA. Western Michigan is 59th out of 60 in goals allowed with a 3.96 mark. WMU is last in the country in penalty kill, stopping just 68.8% of their opponents power plays. The Green and White are 11-0-2 when leading after the first period this season and 17-0-2 when leading after 2. The Broncos are 4-1-0 when leading after 1 and 6-0-0 after 2. No. 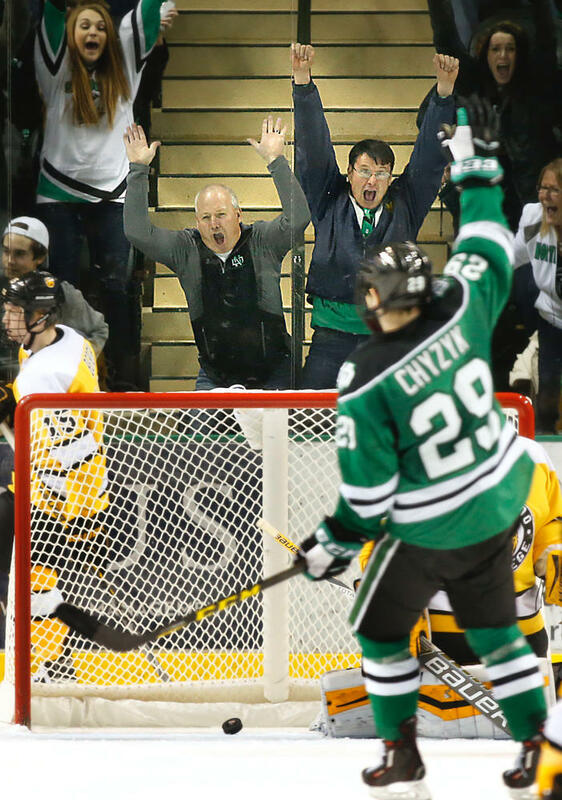 2 UND (20-3-3, 11-2-1-1 -- 35 points, 2nd in NCHC) tied 5-5 and won the shootout for the extra NCHC point on Friday and won 5-1 on Saturday at home against Colorado College. With St. Cloud State playing two non-conference games this weekend, UND has an opportunity to move into first alone with at least four points, against WMU. Western Michigan (7-14-3, 4-9-1 -- 13 pts, 7th in NCHC) got swept at the hands of St. Cloud State 8-2 and 7-3 in St. Cloud. After sweeping CC in early December, the Broncos have skidded to a 1-4-2 record in their last seven games. While it's again a tall task for UND to be without its top two scorers, the Green and White showed last weekend that it certainly has the ability to score goals. Adding to the lineup frustration, reigning NCHC rookie of the week and the team's third-leading goal scorer, Rhett Gardner is questionable for the series due to illness. Despite the injuries, North Dakota netted 10 goals against Colordo College, en route to a five-point weekend as their defense played sharp on Saturday, allowing just 19 shots against the Tigers. Against a Broncos squad that has had trouble finding the back of the for large portions of the season, the Green and White have a definitive edge in the 'D'-zone. 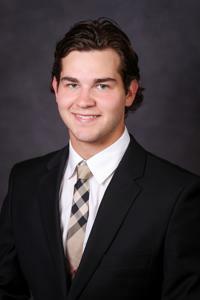 Sophomore goaltender Cam Johnson had a bit of a rocky weekend against CC, getting pulled in the second period on Friday night, but bounced back admirably on Saturday, while still not looking as crisp as he has throughout the 2015-16 campaign. If Johnson can get back to form and the Green and White continue to play as they have defensively all year, UND has plenty of offense to off-set the losses in the forward group. Look for Troy Stecher and Tucker Poolman to be very active from the blue line against a WMU team that has been leaky for much of this season. Check back early in the week to see how it all went down. Thanks for reading. 7) WMU, 4-9-1-1 -- 14 pts; 8) CC, 3-10-1 -- 10 pts. Up 4-0 just 10 minutes into the first period on Friday night at home against Colorado College, the script was being just as intended. The UND men's hockey team was without two of their best players with Drake Caggiula and Nick Schmaltz out due to injury, but the Green and White weren't missing a step. However, five unanswered goals later, UND was looking an embarrassing home loss to the last place team in the National Collegiate Hockey Conference square in the face. Then, as he has done several times in his impressive rookie campaign, Rhett Gardner sparked the Green and White, potting an extra attacker, game-tying goal with just 32 seconds left in regulation, to tie the game at 5-5. After a 5-on-5 OT put the game into the record books as a tie, the two teams skated through a scoreless 3-on-3 second OT and into a shootout. In the shootout, freshman Brock Boeser notched a dazzling goal and junior Matt Hrynkiw, who relieved shaky starter Cam Johnson in the second period, stopped CC's attempt to tie, giving the Green and White the extra conference point. On Saturday night, much like they did following a home letdown performance the previous Friday in a a OT loss against Omaha, UND shutdown the opponent's top line and cruised to a 5-1 win. All things considered, 5-out-of-6 points on a NCHC weekend is nothing to be ashamed about. Here's what stood out to DDC in his weekly Roses and Thorns series recap with Colorado College. Gardner was a late add to this year's squad as UND decided to bring in the Moose Jaw, Saskatchewan native as the season neared its start and Gardner really has been impressive. The freshman forward had his best weekend to date against CC, netting two goals each night, including the game-tying goal on Friday, earning NCHC rookie of the week honors. His big-body presence has been a huge boost for UND throughout this season, but his biggest impact might be in the faceoff circle. Gardner has won 156 faceoffs to this point in the season, which is currently fourth among rookies since 2003-04 for UND. He will likely reach second most in that list that includes NHL stars T.J. Oshie (154), Brock Nelson (173), Jonathan Toews (204) and Travis Zajac (485). By the way, no, that is not a typo. Travis Zajac won 485 faceoffs as a freshman, which is roughly 19 a game. Crazy stat. Some pretty impressive company for Gardner to be in. As mentioned earlier, UND had another defensive letdown on Friday night against an opponent's top line. Last weekend, it was the line of Austin Ortega, Jake Randolph and Jake Guentzel recording 9 points. This past Friday, it was CC's line of Hunter Fejes, Sam Rothstein and Luc Gerdes doing the damage as the trio notched 8 points in a stunning tie. But, as they did the previous week against Omaha, the Green and White shutdown the CC top line and coasted to a big win. 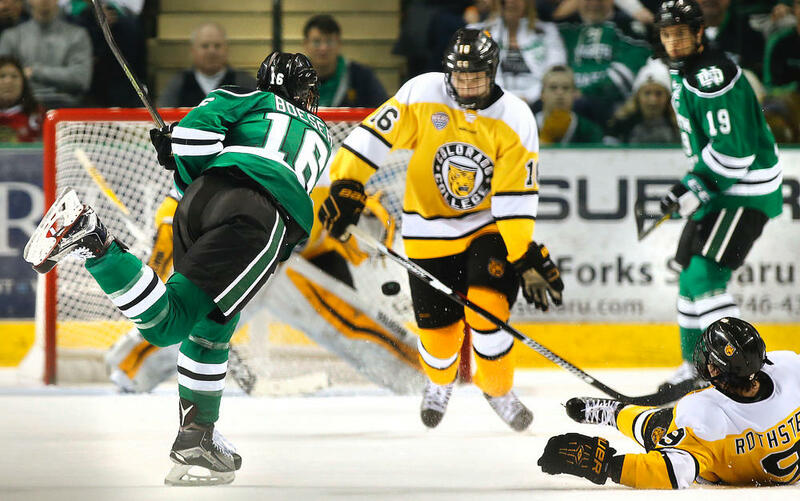 UND was flat out dominant on Saturday, allowing just 19 Tiger shots, with just 9 in the first two periods. While the offense has been impressive this season, the D corps is the backbone of this team and showed it again in a big way on Saturday. A running storyline for UND this season has, of course, been the play of their vaunted CBS line of Caggiula, Schmaltz and freshman Brock Boeser dominating the Green and White statistics while the rest of the team dragged a bit behind. However, with Caggiula and Schmaltz both nursing injuries this weekend, UND's depth came to play. The Green and White netting 10 goals, white Boeser notched just one point on the weekend. Six players scored goals this weekend including freshman Mike Gornall, who potted his first-career goal in his second-career game, on Saturday. UND got contributions from important players like Luke Johnson, who scored twice on Friday, Austin Poganski and Bryn Chyzyk in the series. This is a huge development for UND as they'll need their depth to show as the CBS line is still nicked up. Sophomore Cam Johnson has been nothing short of impressive this season as the netminder tops or is in second in the NCAA in all major statistical categories so far, but the Michigan native seemed a bit out of sorts this weekend. Johnson was pulled in the second period after allowing a third goal in the second period on Friday, moving the game to 4-3. 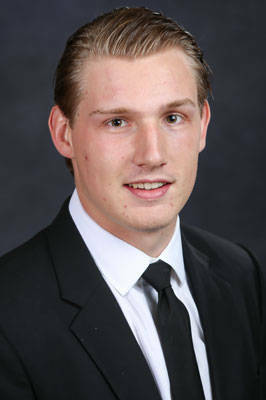 Johnson made just 8 saves and allowed two goals from well away from the net as he was yanked in favor of Matt Hyrnkiw. Hyrnkiw, who has also been wholly impressive this season, seemed to struggle a bit as well, letting in two goals to give CC a third period lead. However, the junior made a couple big saves in the third and OT to earn UND the comeback tie. Johnson bounced back admirably on Saturday, allowing just one goal on 19 shots faced, but still looked a bit uncomfortable with several heavy rebounds. While this could be nothing more than a hiccup for a goaltender who had a stretch of unbelievable play earlier this season, the concern is certainly there. The Green and White need Cam Johnson to play like the goalie who ran off a UND record shutout streak to continue to be successful, down the stretch. DDC doesn't often single out poor performances on a weekend to an individual, but it's hard to ignore the turnovers from this series against CC. Junior defenseman Keaton Thompson had two critical turnovers on Friday night, one leading to the Tigers first goal and the other nearly ending the game in overtime. A dynamic, play-making d-man, Thompson is usually one to help create offense for UND, but his lapses in play this weekend were evident. The Green and White as a whole were terribly inconsistent outside of the first 10 minutes on Friday, continually turning the puck over in the neutral zone and missing breakout passes, leading to transition the other way. This is something that was corrected on Saturday and must not turn into a trend. There you have it. Come back later this week as UND travels to Kalamazoo, MI to take on the Western Michigan Broncos in another NCHC tussle. Thanks for reading.